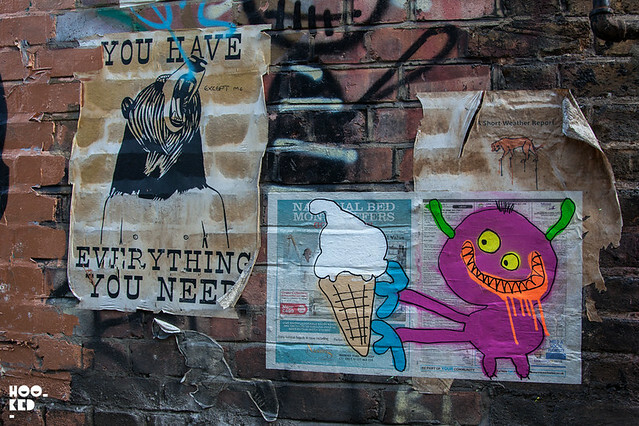 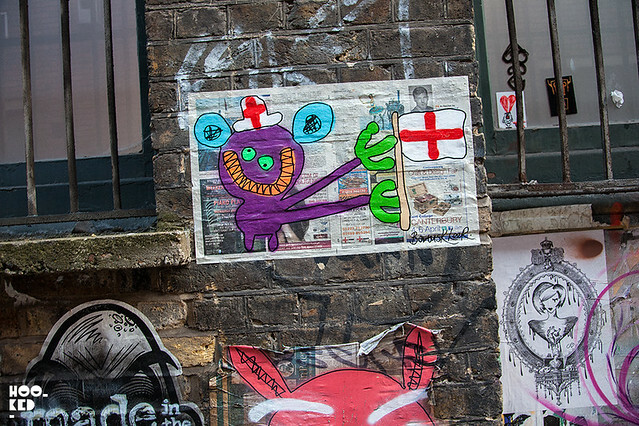 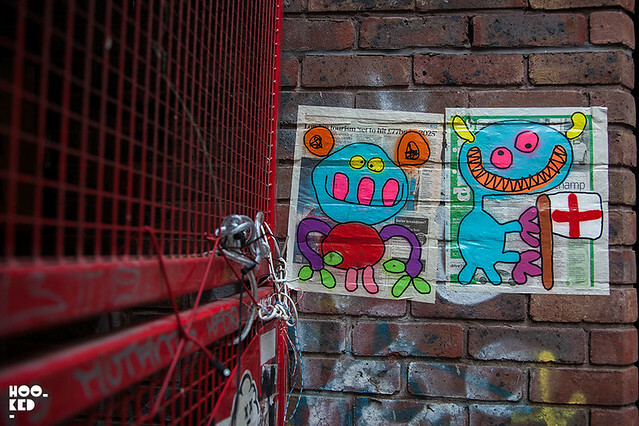 It's been some time since we've seen new work from street artist Bortusk Leer as the artist is now based in Amsterdam. 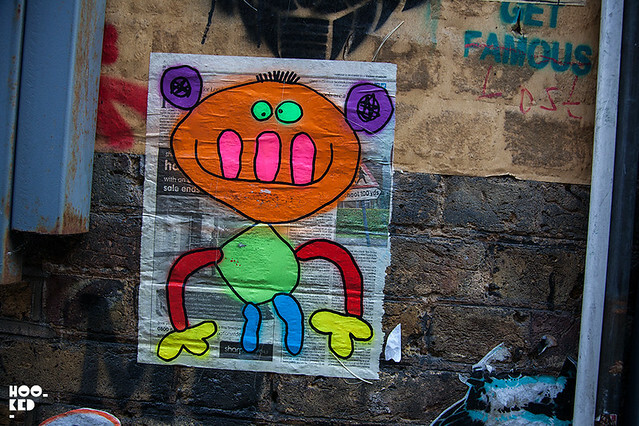 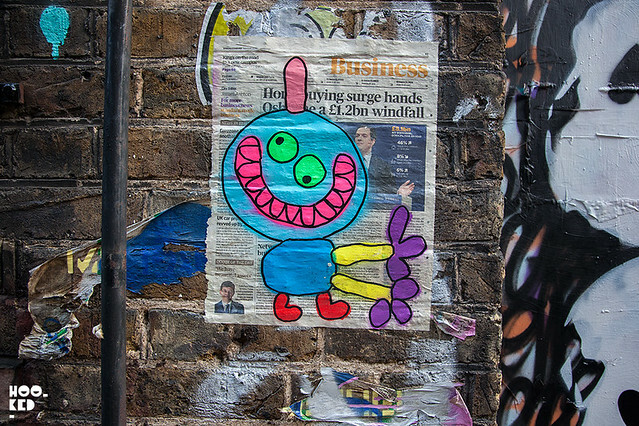 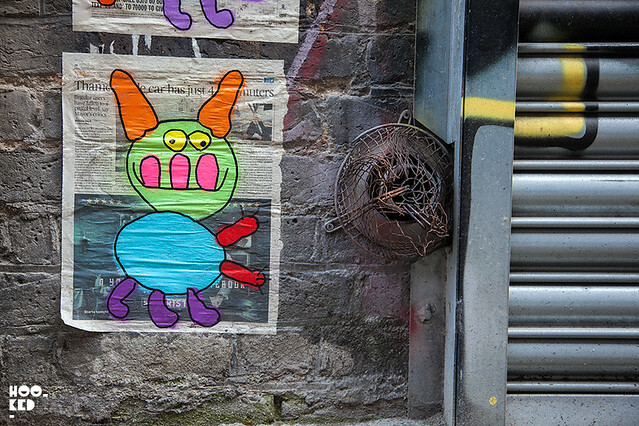 But it looks like he was in London over the weekend and has unleashed another series of his slightly deranged looking neon monster characters. 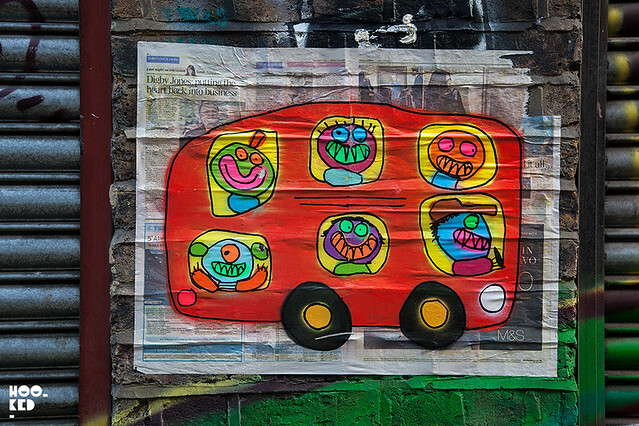 Rolling in on their red double decker London bus, the artist and his monster paste-ups have taken over Blackall Street in London. 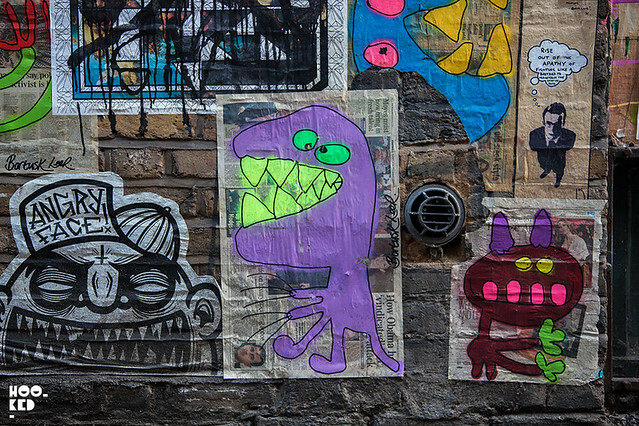 Below are a selection of the characters we captured.